'Na Maloom Afraad 2' vs 'Punjab Nahi Jaungi': Who stole the show at the box office? KARACHI : Eidul Azha saw the clash of two high-profile Pakistani films. On one hand, we had the Nadeem Beyg’s Punjab Nahi Jaungi (PNJ), starring Humayun Saeed, Mehwish Hayat and Urwa Hocane and on the other, Nabeel Qureshi’s Na Maloom Afraad 2 (NMA2), starring Fahad Mustafa, Mohsin Abbas Haider, Javed Sheikh, Hania Aamir and Hocane. The releases brought out the healthy competition required for the local film industry to grow. Almost one week later, the two films are going strong on the box office and even shattering records internationally. According to senior vice president of ARY Films – local distributors of the film, Irfan Malik, Punjab Nahi Jaungi has collected Rs100 million across Pakistan by Tuesday. While he was unable to confirm international records, he estimated it at around $800, 000. The film’s official Facebook page states the film has collected Rs215 million overall, including domestic and international box office earnings. Malik told The Express Tribune, “Tuesday was the test and Punjab Nahi Jaungi passed with flying colours. It has done phenomenal in Punjab and great in Karachi and elsewhere.” He believed the film will hold up during the coming weekend as well. 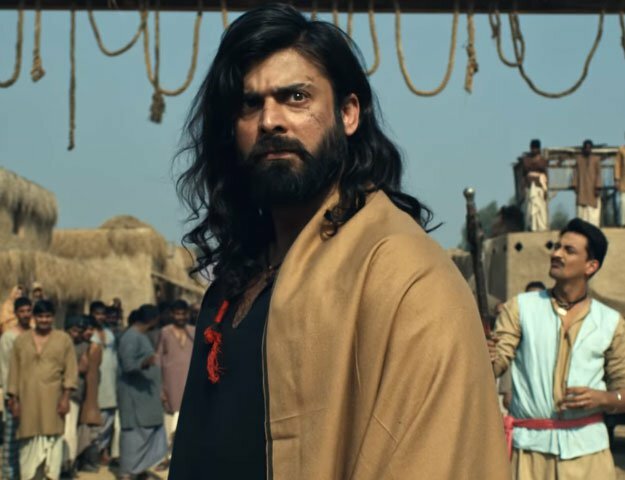 Meanwhile, for Na Maloom Afraad 2, no one from Urdu1, local distributors of the film, was available to comment or confirm the official box office figures. Reports circulating suggest similar figures of NMA2, with the film collecting about Rs100 million. In Karachi, Atrium cinemas managing director Nadeem Mandviwalla said both films were doing well. “We are having 95% occupancy in all shows after 11am.” He also added that Na Maloom Afraad 2 was leading in Karachi. While both films are said to have collected Rs100 million, it’s not really out of place for distributors to exaggerate figures. While one film may have a lead over the other, it can be only be a slight difference as trend, evident by exhibitors’ statements, shows that both films are performing exceedingly well. Qureshi’s golden pot have may cracked up Karachi, but Hayat’s refusal to go to Punjab has intrigued the bigger province. The following weekend will be crucial in deciding which film goes the marathon and which one was only ready for a 100 meter sprint. Punjab Nahi Jaungi also beat Bollywood film Badshaho in UK box office. I hope that every single person who reads this post is satisfied with what has been added and shared so far!